The wait will be over for one of the counties this evening at GAA HQ. But will it be Mayo or Donegal? The Sam Maguire: where will it emd up this week? Donegal and Mayo fans have been waiting for this chance for a while. If the Ulster champions win the All-Ireland decider today at Croke Park, it’ll bridge a two-decade wait for Sam Maguire’s return to the county. Mayo, on the other hand, have been in this position before in recent years; if they can finally get over the line however, it’ll end an incredible 61-year wait for All-Ireland gold. So what do you reckon? Will it be Jim McGuinness’s Donegal or James Horan’s Connacht champions? Let us know in the comment section below? Email “Open thread: Who'll win the All-Ireland football final today? ”. 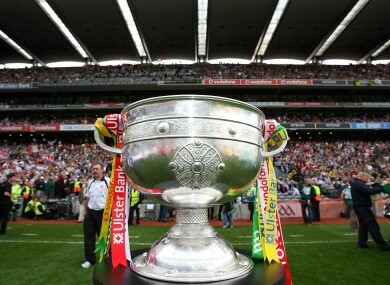 Feedback on “Open thread: Who'll win the All-Ireland football final today? ”.